With a large selection we have available including Gloss, Satin, Texture & Supermatt, our prices are deemed affordable with what our customers choose to go with. 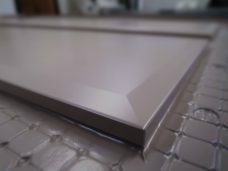 Our thermofusion doors and panels have an array of excellent properties, including moisture resistance and strength, making it the perfect material for your door, panel or drawers in the years to come. Thermofusion doors are also versatile, practical and economical. Our large selection of colours and door designs allow the freedom to design a kitchen, bathroom or laundry as our customers please. 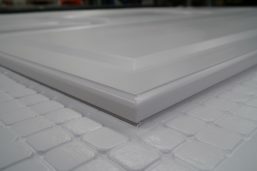 With detailed care and maintenance of hygiene, our kitchen, bathroom & laundry thermofusion doors will last a life time. Copyright © 2019 Modern Form Doors.